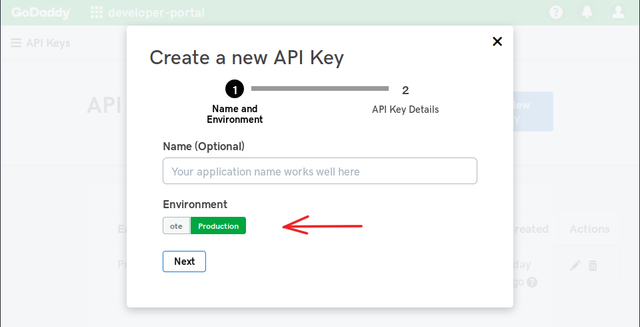 In order to use Dynamic DNS with go daddy you must first generate an API key here https://developer.godaddy.com/keys and create a new API key ensuring that you chose production environment in the popup. After this note the API key and secret. 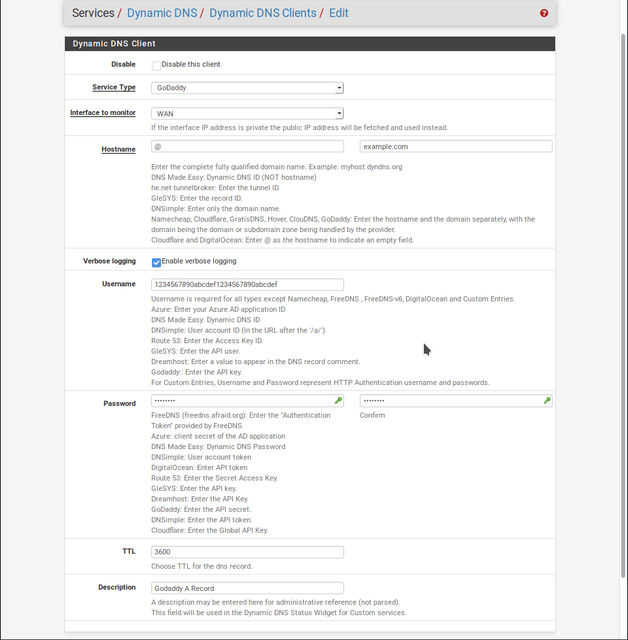 Then on PFsense go to Services/Dynamic DNS/Dynamic DNS Clients and select add.